This video is the official theme of Casa Esperanza (the house of hope), a Panamanian non-profit organization dedicated to enhancing the chances of Panama’s children who live in poverty, especially those who contribute to the financial incomes of their families. The organization was founded in 1992 by local women who did not want Panama to become one of those Latin American countries where large numbers of children live in the streets and get drawn early into a career of crime. And their efforts have had a large impact on many children, in all areas of Panama. Casa Esperanza now operates eight attention centers across the country, where over 7 000 children and adolescents receive attention each year. The organization finds children who engage in illegal work, in the countryside as well as in the cities and identifies children who live in extreme poverty and are therefore at risk of taking up illegal employment. Apart from enabling these children (aged 4-17 years) to attend school, supplying them with books and other study materials and tutoring them, Casa Esperanza provides food, medical care and social activities for them. The underlying idea is that children do not only need food and education, but also love and understanding to develop their personality in a healthy way. Another large effort of the organization is to make children aware of their rights, to make sure they know they are entitled to an education, food, medical care. In these efforts, the children’s families receive additional support as well to prevent children from returning, or being forced to return to work: The Family Employment program helps parents to set up and manage their own microbusinesses, which can provide income for the entire family. By 2012 over 1 000 Parents had participated in this program, and this year the launch of over 800 new microbusinesses is expected. Ecocircuitos Panama has been a benefactor member of Casa Esperanza for many years, organizing Christmas gifts for children, enabling them to attend excursions, and contributing financially. You can make a huge in the lives of our children in some communities with very little. By using the available space in your luggage you can provide supplies to the communities you will visit on this trip. For 4.5 pounds you can bring: used laptop computer, language books (fiction, research or children books), maps, pencils, pens, and notebooks, also deflated sports balls (volleyballs, basketballs and especially soccer balls). You can give this directly to the center you may visit on your trip with us. We hope to see you in Panama! Christmas is the season for sharing. The EcoCircuitos team recently participated in a beautiful celebration with the children of Casa Esperanza and had the opportunity to donate gifts to a group of amazing children and see their smiles! 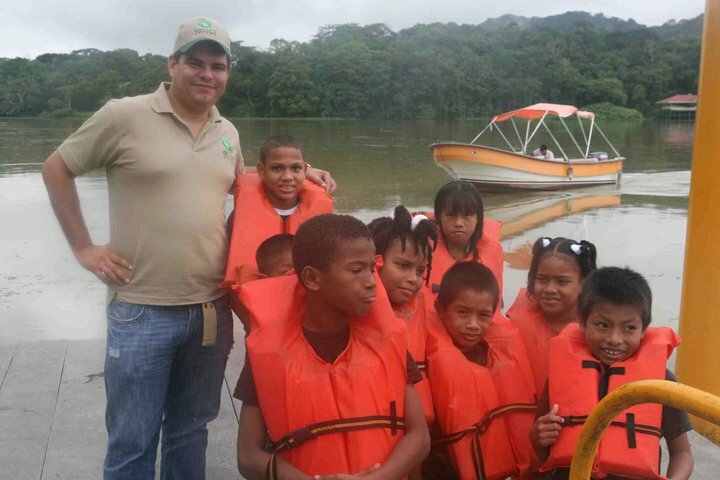 EcoCircuitos has been involve in Responsible Tourism in Panama for many years and believes in supporting different organizations by collaborating with community development and conservation activities. Casa Esperanza support children of extreme poverty in Panama by giving them education and a home. 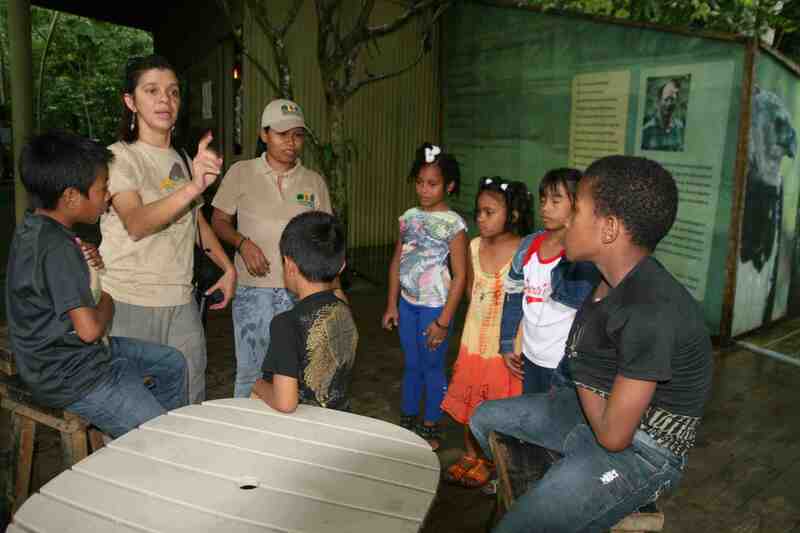 EcoCircuitos donates to different national organizations such as Casa Esperanza in Panama. • Helping local schools provide educational material and supplies – currently we are searching for funding to install a sidewalk in Darién. The lack of one currently poses a major hazard to children walking alongside the road to school. Contact us for a complete school wish list. • Sponsor a child’s education through the scholarship program. • Buy plants to be reforested in a biological corridor- visit local farms in the communities that neighbor a private reserve and help plant native trees on the property that promotes environmental education and sustainable development. If you like, you can help plant the tree yourself or even better, invite a local school to join you.